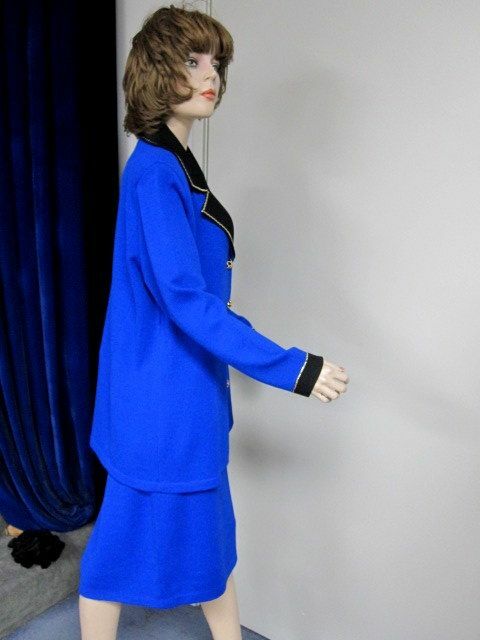 Click the button below to add the St. John Knit EVENING NEW Royal Blue Black Santana Knit JACKET SKIRT SUIT SIZE 14 to your wish list. 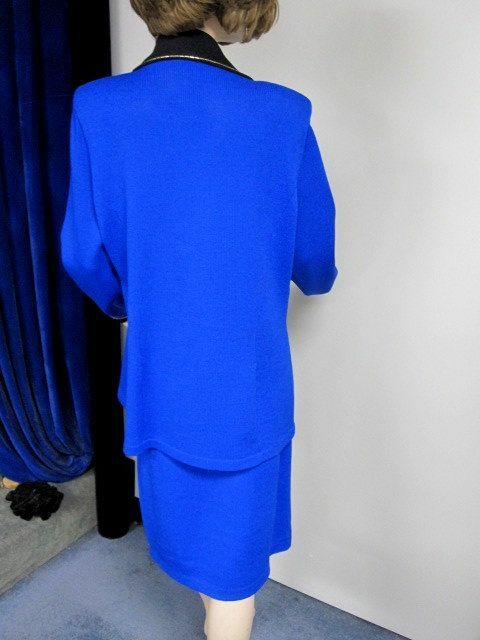 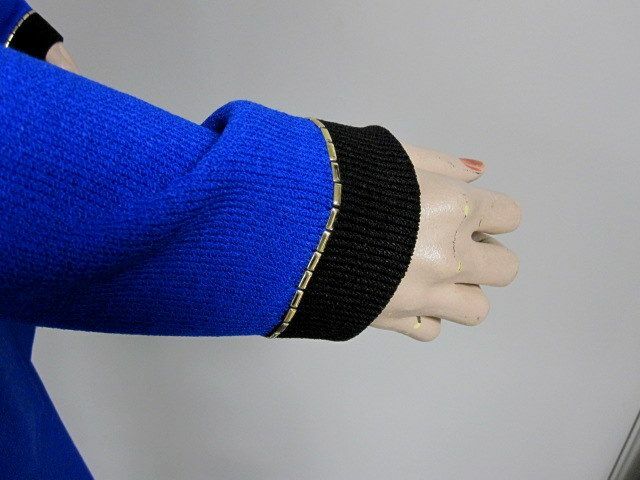 royal blue black Santana knit jacket skirt suit..!! 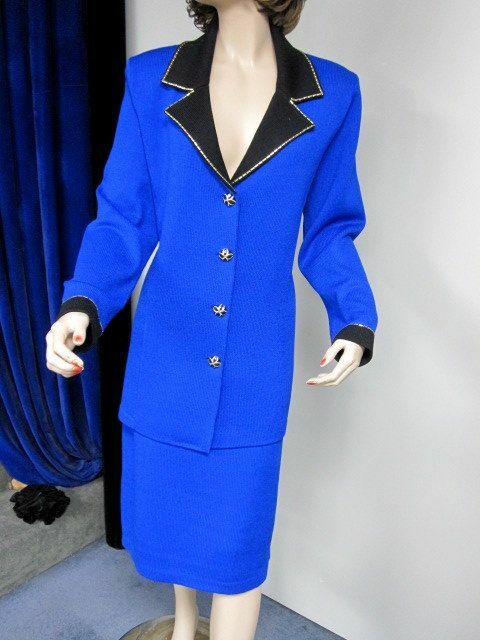 GORGEOUS STYLE!.!!. 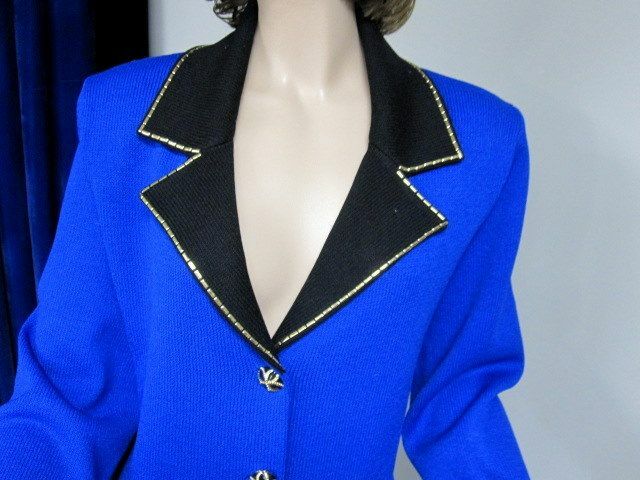 gold stud trim. 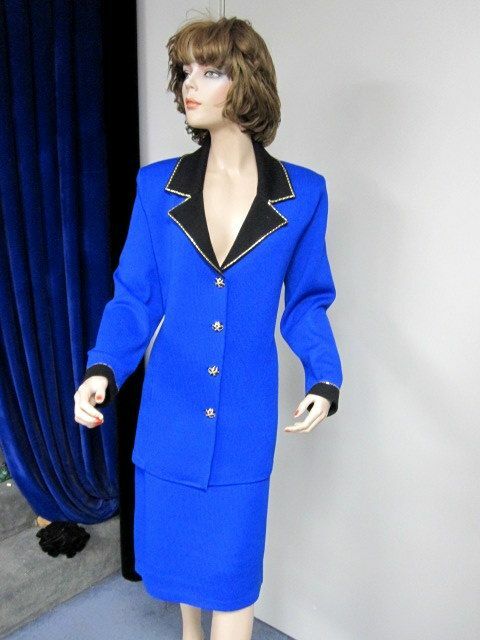 There are 4 beautiful buttons in front..
the waist for a perfect fit. 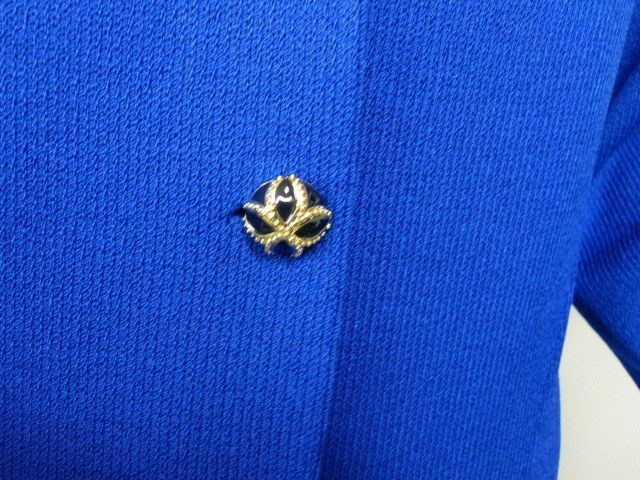 on tag doesn’t always measure correctly.